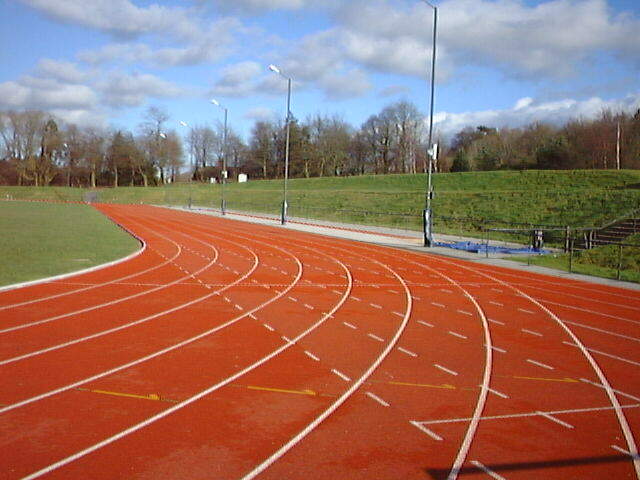 The track opened in 1996 and is a joint use facility between the University of Wales, Bangor and the Gwynedd Local Authority. It is set in a very pleasant rural location with views to the Pont Britannia road bridge. There is a pavilion at the track with a bar area. The entrance to the track is via a road immediately next to the Menai Suspension Bridge. The restriction on the use of LJ and TJ due to the proximity of floodlight pylons was removed in summer 2002 when the pylons were moved to the outside of the track.